Hours after the Election Commission announced the date for Gujarat Assembly elections, Chief Minister Vijay Rupani said the Bharatiya Janata Party (BJP) was sure it would win the polls by a three-fourth majority. 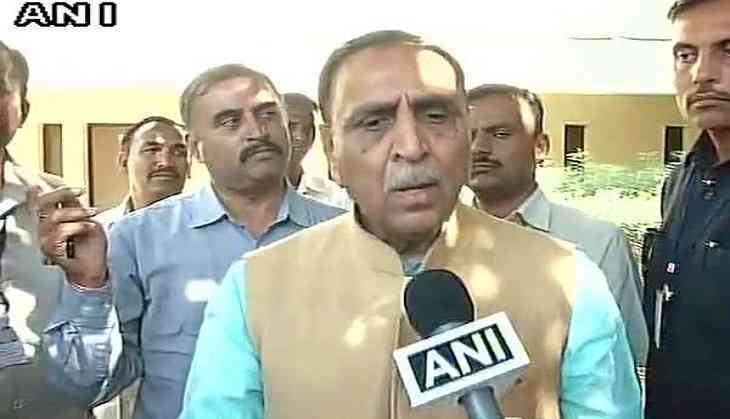 "We are ready and confident that Bharatiya Janata Party (BJP) will win by three-fourth majority," said Rupani. The Election Commission earlier in the day announced the schedule of the upcoming crucial assembly elections in Gujarat. The polls will be conducted in two phases. The polling for the first phase will be held on December 9 and for the second phase on 14 December. The counting of the votes will be held on 18 December. The Chief Election Commissioner (CEC), Achal Kumar Joti, announced that 50,128 polling booths would be set up and VVPAT machines would be used for the polls in the state. The CEC also said the model code of conduct would come into force with immediate effect in the state, adding that a flash of light would be shown after voting showing details of the candidate who the voter has voted for. He further said that there would be 102 all-women polling stations for the polls in Gujarat. Differently-abled voters will be given preference at the polling stations. The state polls will witness a direct contest between the Congress and the ruling BJP. The contest is important for the BJP because Gujarat is the home turf of Prime Minister Narendra Modi and BJP president Amit Shah.